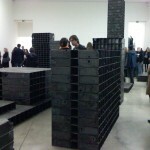 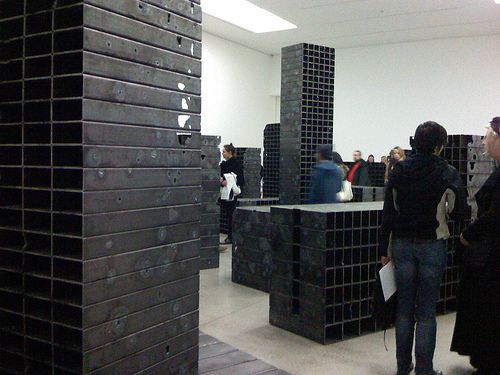 In Mona Hatoum’s installation BUNKER, war aftermath -like distressed metal blocks are organised into shapes reminiscent of a city. 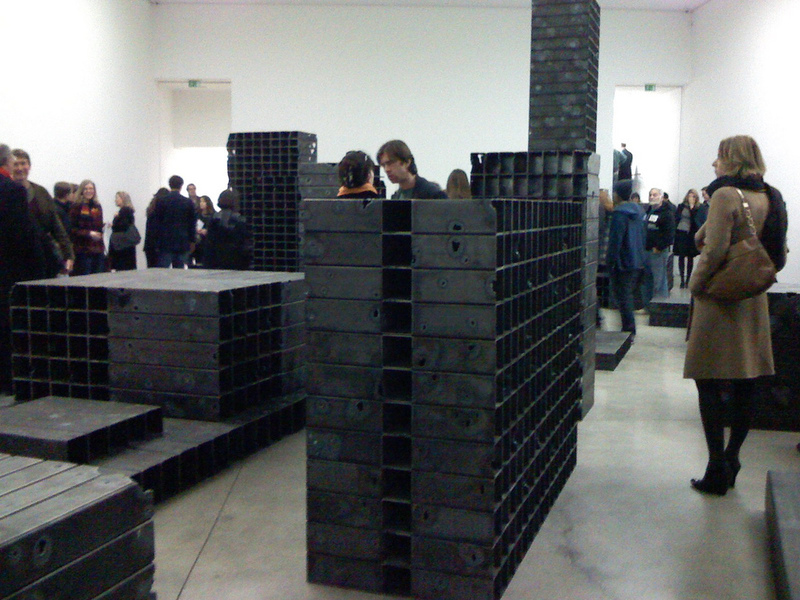 It’s downscaled and you are allowed to walk through it – a significant fact as that makes you feel like a giant and the metal blocks/city more vulnerable than its material should allow. 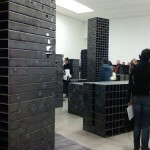 Walking through a destroyed city in your contrasting size subversively suggests your guilt, it points a finger at you. 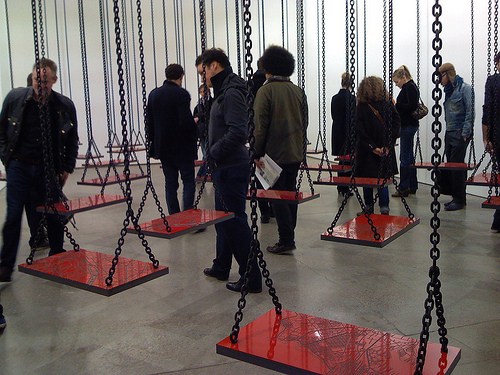 The visitors walk through slowly and meditatively, looking down. 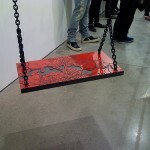 Upstairs, SUSPENDED, a room full of swings creates initially a more playful atmosphere. 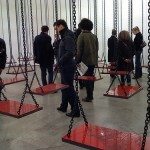 The gallery has predicted that and hired an extra army of interns to tell people off when they look like they are going for a swing. 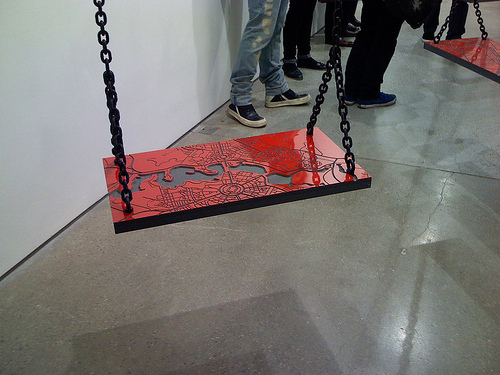 But the context is serious again, Hatoum has put a randomly chosen map on each swing, and this again brings the war conflict in mind, the randomness of its victims and the loss of perspective from its initiators.